Robots, biometric security, autonomous cars, virtual reality and artificial intelligence are no longer just science fiction - they are part of our daily lives. Computers run all of these and more, ensuring a continuing high demand for Computer Systems Engineers and Computer Science professionals far into the future. 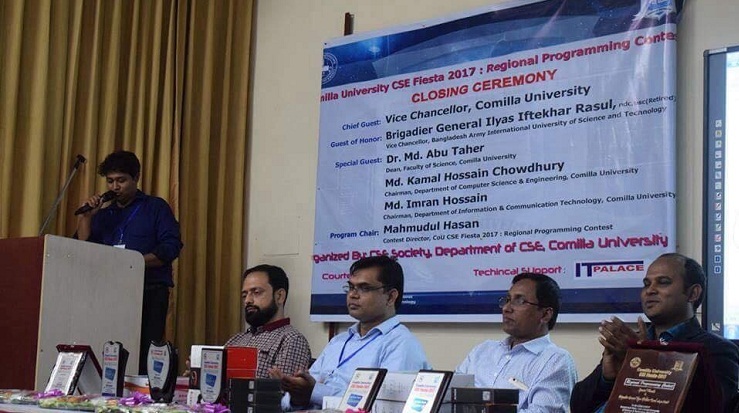 Computer Science and Engineering department of Comilla University offers unmatched opportunities for hands-on training through classes, research and project-specific student clubs and competitions - all designed to provide tools for technical innovations. The Department of Computer Science & Engineering covers key areas of computing, offering undergraduate majors the expertise essential to a burgeoning array of professional and technical careers in business, industry and government which require knowledge of computer hardware and software. Department of Computer Science and Engineering was started in the year 2009 with an intake of 20 students. It is one of the oldest departments in the institution. From its humble beginnings, the department has grown tremendously and has evolved into one of the foremost units of the University. The department presently offers one regular B. Sc. (Engineering) program, one regular M. Sc. (Engineering) program and one Executive Masters program (EMCA). The faculty strength of the department is 10, comprising of six Assistant Professors and four Lecturers. The department has the fortune of getting some of the best students of the country. Their academic excellence is reflected in the high placement record of the department, as well as the significant number of students gaining admissions for higher studies in prestigious institutions of international repute. The department has a long tradition of producing technically competent graduates and the alumni of the department are often high achievers, occupying prominent positions in the industry as well as the academia in Bangladesh and abroad. The vision of the department of Computer Science and Engineering (CSE) is to make CSE graduates as national and international leaders in education and research through effective disciplinary teaching and ethical learning, especially in the arena of classical and advanced technologies of Computer Science (CS), Information and Communication Technology (ICT) along with Software and Network Engineering knowledge. 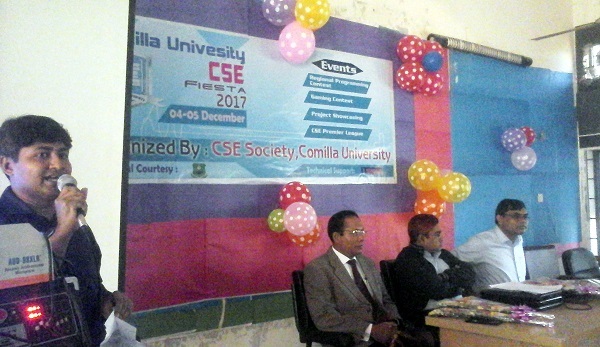 The mission of CSE is to contribute digital revolution of society by enhancing advance knowledge of Computer Science and Engineeringthrough pragmatic teaching and learning approaches. The department of CSE provides excellent undergraduate and graduate education in a state of the art environment by preparing students as computer scientists as well as skilled IT expert for the arena of industries, government agencies and academia. The department of CSE will be recognized globally through education, research and industry collaboration as a part of the focus of academic excellence. Moreover, the impactful research of the department will advances the traditional technology of the 21st century. 3. Problem Analysis: A capacity to select and apply the deep knowledge of mathematics, statistics, physics and cutting edge engineering technology to computing problem analysis. 5. Problem Solving: A capacity to apply different mathematical and statistical formulas to solve real world problems and learn to participate and compete in competitive programming by coding in many algorithmic theories. 6. Implementation: A capacity to apply analysis, design and development principles in the construction of software systems of critical thinking and varying complexity. 7. Experiment and Analysis: A capacity to conduct standard tests and measurements to conduct, analyze, and interpret experiments and to apply experimental results to improve solutions. 9. Teamwork: A capacity to function effectively as a member or leader of a team to accomplish common goals of the software firm, company or any institution. 10. Communication: A capacity to apply written and oral communication in formal and informal environment aspect of technical and non-technical issues. A capacity to identify appropriate communicate to a range of audience with the help of available technical literature. 11. Self-Motivated: Understanding of the need for and a capacity to engage in self-learned and self-galvanized students to continue professional development; prepared to enter a top-ranked software industry in the world. The department offers three degree programs: a Bachelor of Science (Engg. ) in Computer Science and Engineering (CSE), a Master of Science (Engg. ) in Computer Science and Engineering (CSE), and a Executive Master of Science in Computer Applications (EMCA). Our graduates are highly employable and have joined the workforce with local and multinational companies both in Bangladesh and abroad.